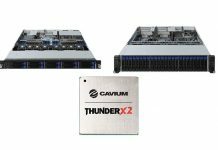 A few months ago, Cavium acquired QLogic bolstering its interconnect portfolio. 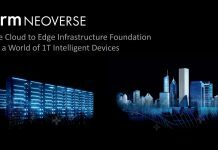 The new merged company is announcing new 25GbE and 100GbE adapters with RDMA and DPDK support. The new Cavium FastLinQ 45000 series 25GbE and 100GbE adapters are targeted at the emerging networking standards set to have a break-through year in 2017. 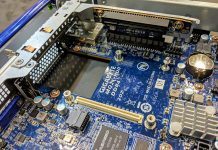 As we move to higher-speed Ethernet standards, acceleration technology for features such as NVGRE and DPDK become more important. Likewise, the role of RDMA for 100GbE class applications becomes increasingly crucial as networking speeds increase and the data path needs to be optimized. The company also offered that it has signed at least one major OEM to the new adapters as HPE is listed as a partner shipping the new cards. We take this as meaning this is not just a paper launch but that the product is available today. Increased Performance and Scalability for NFV and cloud Workloads: Cavium FastLinQ 45000 Series 25/100Gb Ethernet Adapters leverage industry standard technologies combined with impressive small packet performance to deliver enhanced scalability and improved performance. FastLinQ 100GbE Ethernet adapters are optimized for software-defined networking (SDN) and OpenStack deployments to deliver a robust and feature rich high-speed networking solution for Telco and Cloud deployments. Efficient Administration: Cavium technologies, combined with Mirantis FUEL for OpenStack orchestration and QConvergeConsole topology maps for OpenStack, allow the seamless integration and accelerated deployment of workloads in Telco and Cloud data centers.